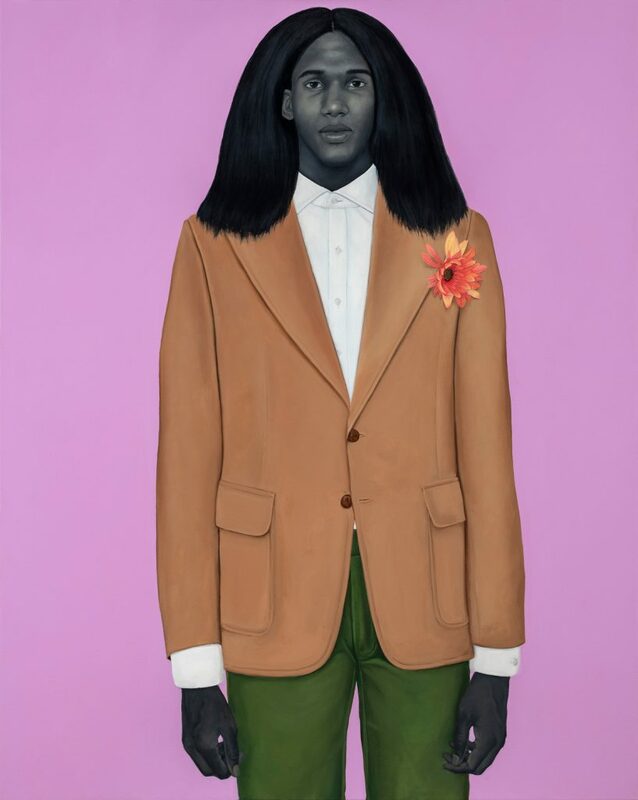 Amy Sherald, *When I Let Go of What I Am, I Become What I Might Be (Self-Imagined Atlas)*, 2018. Several exhibitors in the main Galleries section are presenting work related to local museum shows. Pace has prime works on paper by Christo and Jeanne-Claude of their project Surrounded Islands, Biscayne Bay, Greater Miami, Florida (1980–83), which is the subject of a survey at Pérez Art Museum Miami, while Galerie Gmurzynska is offering rare collages from the duo’s The Gates, Project for Central Park, New York City (2005). At the fair on Friday, December 7, Christo will be in conversation with curator Hans Ulrich Obrist, who organized the artists’ recent Serpentine Galleries show. Salon 94 is bringing a selection of works by feminist icon Judy Chicago, including the astonishing Georgia O’Keeffe Test Plate #2 (1975–78), which was made for her seminal 1970s art installation, The Dinner Party, and Jessica Silverman Gallery is showing decorative drawings from a series of late ’70s studies of scripted letters from the alphabet. Chicago has a survey at ICA Miami, which opens December 4, and a solo show of never-before-seen photographs, documenting an early ’70s pyrotechnic performance in the desert, at Miami gallery Nina Johnson. 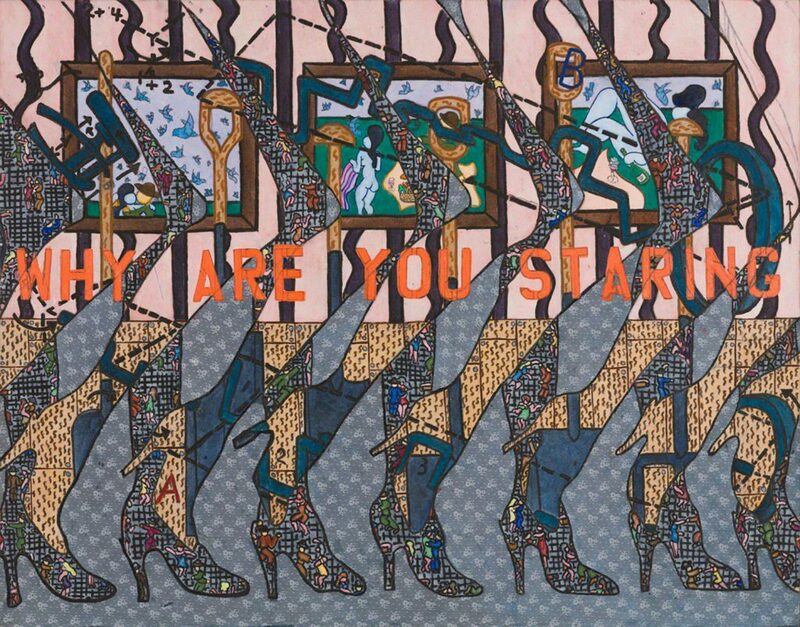 ICA Miami is simultaneously opening a small show of witty, cartoonlike paintings by William N. Copley, prompting Kasmin to make Copley’s marvelous canvas Why Are You Staring (1986) a centerpiece of its booth. 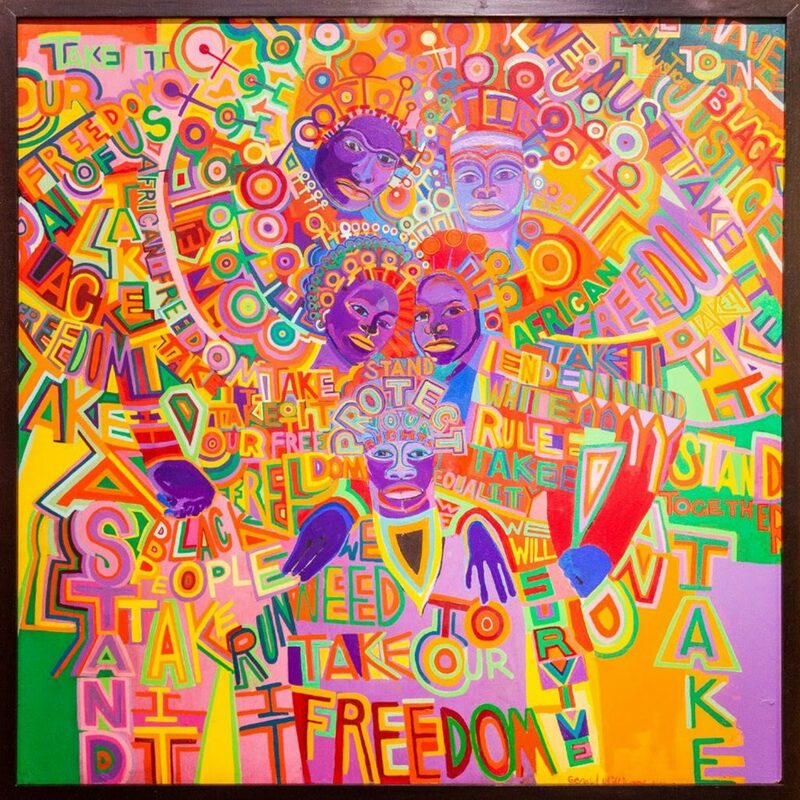 Likewise, the Museum of Contemporary Art North Miami exhibition “AfriCOBRA: Messages to the People,” opening December 6, motivated gallerist Kavi Gupta to bring to the fair classic works by several of the artists in the museum show, including Gerald Williams’s colorful protest painting Take It (1971). Rounding out the institutional links, Perrotin is exhibiting Paola Pivi’s What Goes Round – Art Comes Round (2010), a wild installation featuring two dozen adjoined fake fur rugs. Massimo De Carlo is offering Call Me Anything You Want (2013), her unique series of sublime sculptural accumulations composed of hundreds of cultivated natural pearls. Both presentations are in response to the ongoing exhibition “Paola Pivi: Art With a View” at the Bass Museum of Art in Miami Beach. Also in Galleries, Franklin Parrasch Gallery recalls the burgeoning days of the Los Angeles art scene with “Ferus vs. Wilder,” an homage to two legendary galleries: Ferus Gallery, founded by curator Walter Hopps and artist Ed Kienholz and acquired by Irving Blum in the 1950s, and Nicholas Wilder Gallery, which opened across the street on La Cienega Boulevard in 1965. The gallery’s historical presentation features Kienholz’s mixed-media assemblage Black With White (1957) and a portrait of Wilder—a 1976 lithograph—by David Hockney. In a similar vein, Lévy Gorvy salutes New York’s cultural landscape during the late ’70s and early ’80s with the group exhibition “Radiant New,” which features outstanding works by Jean-Michel Basquiat, Keith Haring, Jeff Koons, and Richard Prince paired with pieces by such precursors as Andy Warhol and Tom Wesselmann and artists from the generation that followed, including Terry Adkins and Dan Colen. Basquiat’s painted football helmet with his stuck-on hair is not to be missed. 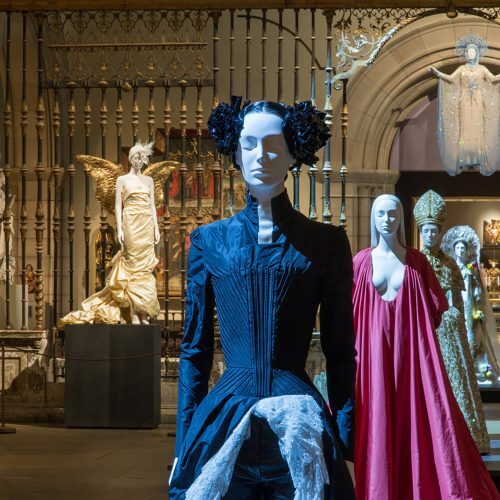 Other notable offerings in this main part of the fair are Templon’s solo presentation of socially engaging tableaux vivants by Pop Art sculptor George Segal; Koons’s shimmering sculpture Smooth Egg With Bow – Magenta/Orange (1994–2009) at Edward Tyler Nahem; Alice Neel’s related paintings Rosemary Frank (1973) and Mary Beebe (1975) (each of the subjects is seated in the same armchair in the artist’s studio) at David Zwirner and Victoria Miro, respectively; and a brand-new, much-anticipated portrait by Amy Sherald—the celebrated painter of Michelle Obama’s portrait commission—at Hauser & Wirth. 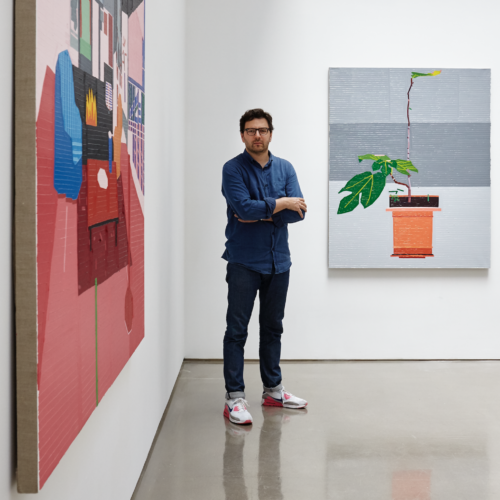 In the Kabinett section, which allows exhibitors spaces to present curated exhibitions within their booths, Richard Gray Gallery, DC Moore Gallery, Petzel, and P.P.O.W have standout shows. Gray is exhibiting a stellar selection of postwar works on paper, including Willem de Kooning’s dynamic Two Women I (1952), in a tribute to the gallery’s founder, who passed away earlier this year. 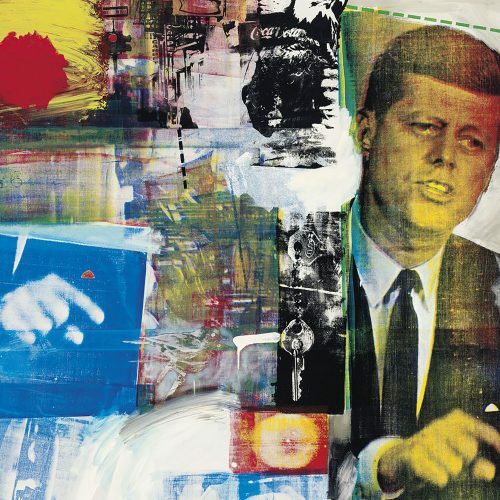 DC Moore has a rare group of atmospheric abstractions by the venerable collage-artist Romare Bearden. Petzel presents John Stezaker’s altered found paintings, on to which the artist has cleverly collaged re-created holes that he appropriated from a late series of paintings by Joan Miró. 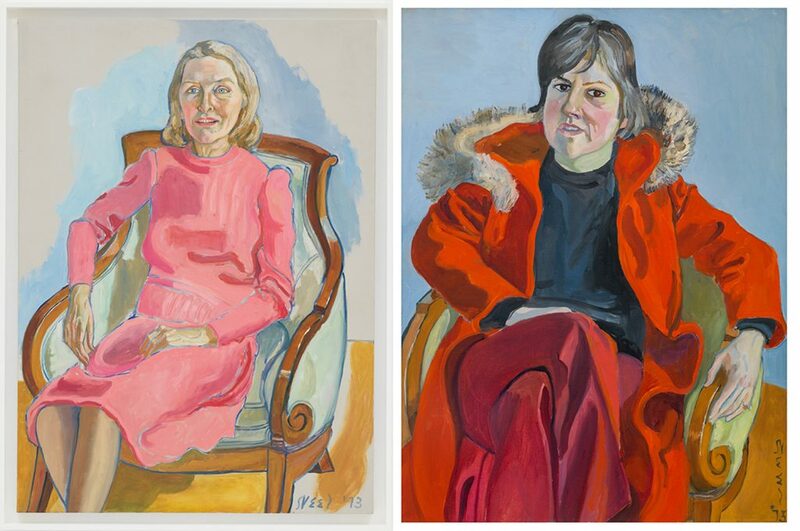 Meanwhile, P.P.O.W has a solo display of diaristic paintings, drawings, and sculptures by Ellen Cantor, an underrated feminist American artist who died in 2013. 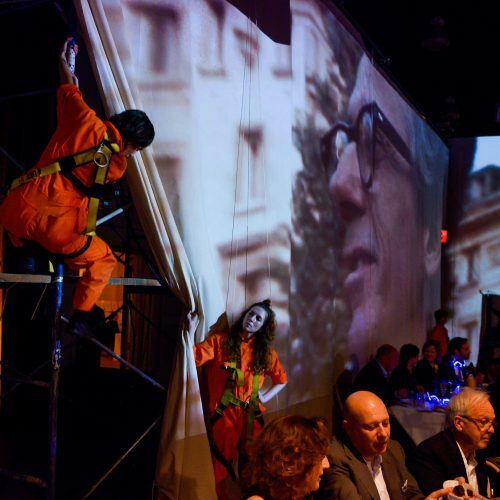 Nova, the section that provides a platform for galleries to stage new work by up to three artists, is equally as strong. 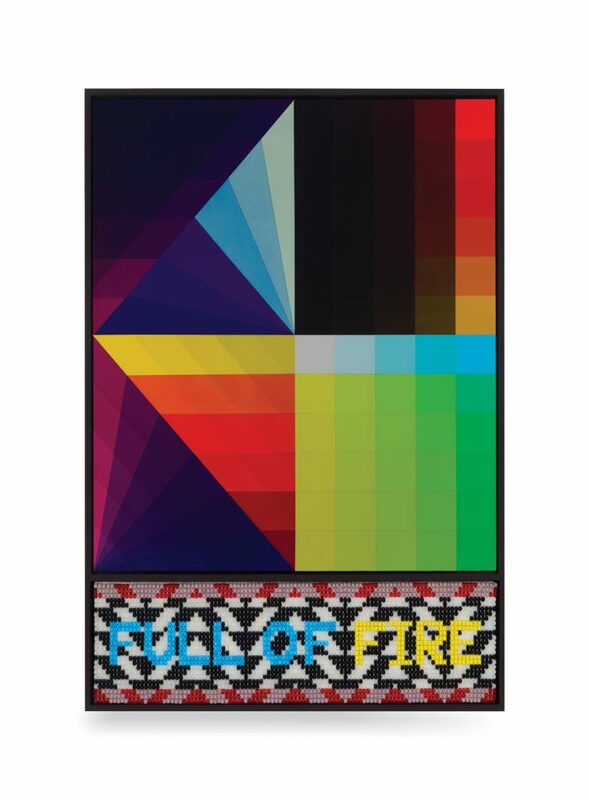 Roberts Projects is presenting an installation by Jeffrey Gibson that’s influenced by his Native American heritage, including paintings, text-based wall hangings, and a figurative sculpture. 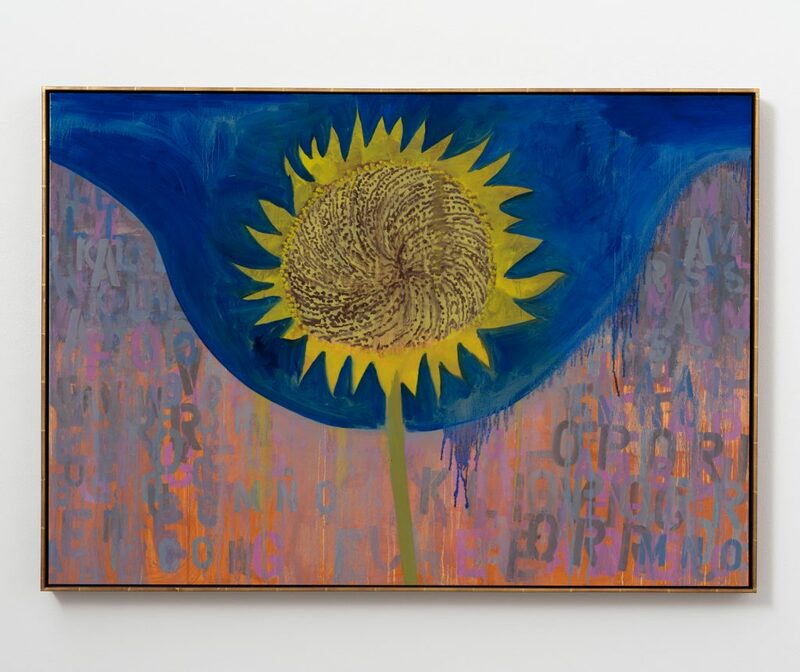 Galleria Lorcan O’Neill Roma is featuring paintings by two Italian artists, with Francesco Clemente showing recent work inspired by a Federico García Lorca poem and Luigi Ontani exhibiting sculptures and hand-painted photographs that honor such classical writers as Dante and Ovid. And Take Ninagawa is bringing small objects, sketches, and found fabric pieces by three solid stars of the Japanese art scene, Ryoko Aoki, Izumi Kato, and Shinro Ohtake. 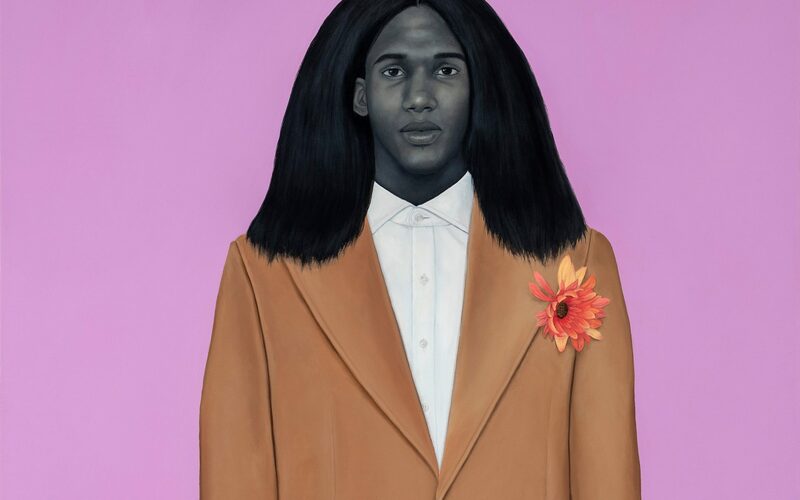 Kahlil Robert Irving, Kapwani Kiwanga, Carlos Reyes, and Tschabalala Self are our picks in the Positions section, which highlights solo projects by new talents. Irving has ceramic sculptures of crumbling street views of American Rust Belt cities at Callicoon Fine Arts. Kiwanga, who was the recipient of the first Frieze Artist Award and was recently named winner of Canada’s Sobey Art Award, is showing three installations with Haitian voodoo-inspired banners, beadwork, and embroidered fabrics at Galerie Jérôme Poggi. At Bodega, Carlos Reyes juxtaposes sun-faded jewelry displays from a defunct shop in New York on newly constructed pedestals with salvaged sections of a weathered awning from the Melrose Spa, a former men’s bathhouse in Los Angeles, alongside new panels of the same green fabric to highlight the passing of time. Likewise—and with a bit of a linguistic twist—Tschabalala Self’s lively installation, Bodega Run, re-creates still life situations and social constructs from lower-income food shops, which are commonly found throughout New York City, at Thierry Goldberg Gallery. Lastly, the Survey sector, which was added to the fair in 2014, features focused presentations of contemporary art created before 2000. Paci contemporary is presenting Nancy Burson’s digitally manipulated photographs of aging people and combined animals, such as Lion/Lamb (1983), which employs computer programs to an uncanny result. 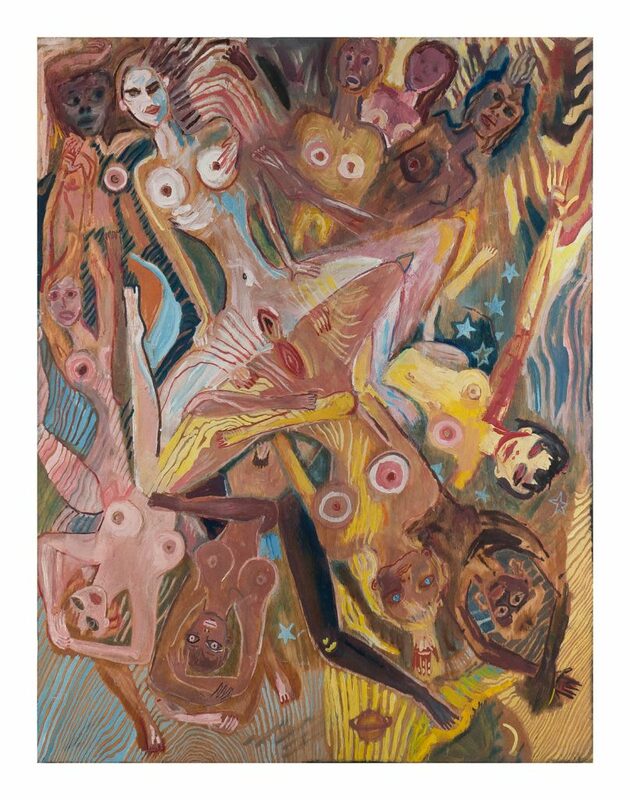 Expressive, figurative paintings by the Polish artist Maryan, who was the only member of his family to survive the Holocaust, are on view at Venus Over Manhattan, while Peter Blum Gallery has figurative sculptures by Joyce J. Scott, who addresses racial stereotypes in her imaginative handiwork. For those seeking more—and for those with access—the reconditioned Convention Center has a number of new commissions, including massive wall murals on exterior corners of the building by Franz Ackermann and Sarah Morris, while the fair’s Collectors Lounge touts a dynamic design display at Audemars Piguet by Sebastian Errazuriz. In the Ruinart Lounge, artist Liu Bolin created staged photographs where he wondrously camouflages himself into various scenes, merging himself with his surrounding environment, which—ironically—is what happens when visitors become fully immersed in the fair.